Just because things are mundane, doesn’t make them simple…..and simplicity and complexity are not mutually exclusive…..just sayin’. Yes, yes here at the “Mundane Life,” we’re usually focused on simple things, although as I mentally explore the “simple things”, I find that at a less superficial level they are the most complex of all. I’ve recently become intrigued by what we “hide” behind. …..titles….beauty….intellect….wealth….strength....success….confidence.… spirituality….anything really. Sometimes we hide behind more tangible things too like scuba diving or motorcycle riding or sororities or clubs or social media or work to be a part of a “group”….sporting T-shirts and bumper stickers that “group” us into something……a something we use as identification. …..many of these are “good”….right? …..but what if we become so “busy” being these things or even just “appearing” to be these things that we fail to connect with others. 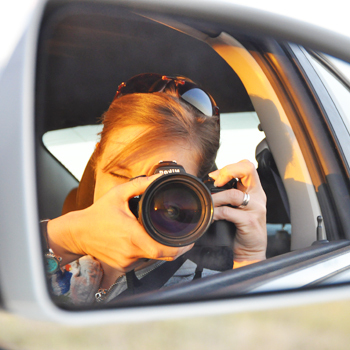 Sometimes I hide behind my camera…. literally in the sense that it is in front of my face and figuratively as it gives me “something to do” in awkward situations. I take it everywhere. …..and I probably won’t stop. I enjoy telling stories through photography. I “speak” with my camera as often as I do with a pen. ….but sometimes I take it along just to have “something to do.” I’m like Linus with my security blanket. Society is centered on it. In 2009, I visited a friend in California. He doesn’t drink. He never has. His reasons are refreshing….even beautiful…..not the usual judgmental, religious mumbo-jumbo. He doesn’t sit at home, away from bars and restaurants. He goes out with friends, listens to bands, and stays out late. I wondered what he might be seeing that I wasn’t. …….I didn’t drink for the next 14 weeks. The first 4 weeks were the most difficult as I retrained friends. Yet, I continued to do the things I had always done, but without the seemingly “socially required” drink. I didn’t at all feel depraved in those 14 weeks, but connected more fully…..to others….to the world around me….and even to myself. Last year I had two New Year’s resolutions; both were designed to connect me more fully with God. This year, I want to connect more fully with others. As symbolic evidence of this commitment, I am once again giving up drinking……until May…..at a minimum.